The tipping point for US man Chris Hurst came last year while reporting on a shooting at a rail car factory. When the camera turned off, he wept. Just more than a year earlier, the 29-year-old’s reporter girlfriend was gunned down while conducting an interview on live TV. Now, Hurst was using the same truck that Alison Parker had used the last day of her life to report live from the scene of another shooting. Hurst realised he needed a drastic life change. The former TV anchor is now running for political office in the US, challenging a National Rifle Association-backed candidate for a competitive Virginia state House of Representatives seat in a firearm friendly part of the state. Hurst sees it as a way to honour the memory of the woman he thought he’d marry and to give back to the community that helped him through his darkest days. “When we understand that life is fragile, does that mean we give up and say life ain’t worth it? No,” Hurst said at a Virginia Democratic committee meeting in March. Hurst was living with Parker when she and cameraman Adam Ward were fatally shot while reporting for WDBJ-TV in August 2015. The gunman, Vester Flanagan, posted video of the attack online and killed himself hours later. After the shooting, Hurst became the public face of the grieving TV station, bringing him national attention and a large social media following. That helped him become one of the top House candidate fundraisers last reporting period. The Pennsylvania native, who quit his TV job and moved so he could run in Virginia’s 12th District, has been labelled a carpetbagger by Republicans looking to protect Delegate Joseph Yost, a well-liked moderate. The 12th District is among the few competitive House seats in southwest Virginia, a rural Republican stronghold. 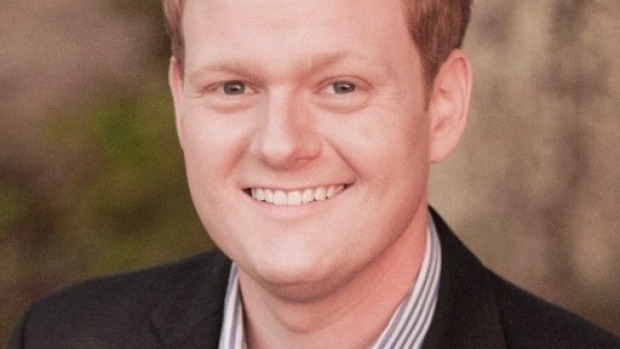 Hurst is one of several young Democrats new to politics running for a Virginia House seat this year. US President Donald Trump’s election has fuelled a new interest in state and local politics, party leaders say, and Democrats hope they can put a dent in Republicans’ sizeable House majority. Hurst is no fan of Trump but says his reasons for running are more personal. While at the station, he faced constant reminders of Parker. He struggled with walking past the place where he was told she was dead, and with covering stories about violence and death, he said. “I knew that I could get myself up and pull myself together and do it, but I think it was at the price of my humanity,” Hurst said. Now, he says, his grief is lessening because he feels like what is doing has purpose. Republicans are playing up their candidate’s deep local roots and trying to paint Hurst as an outsider seeking political advancement. Yost, 30, has earned a reputation as a humble, hard worker and champion for better mental health services. “There’s a difference between being on air and covering news as opposed to me, being in my district for the last 30 years,” Yost said. While Parker’s death drove Hurst into action, he treads lightly on the issue of gun control in these communities, where the gun culture runs deep. Hurst, a gun owner, says that among other things he’d like to empower law enforcement to petition courts to have guns taken away from dangerous people. But he insists firearms aren’t his top priority. He says he’s focused on issues such as education and economic development. Andy Parker, whose gun-control advocacy has made him a self-described “lightning rod”, said he expected Republicans would try to link Hurst to him and call Hurst a “gun grabber”. Mae Midkiff, Giles County Republican Committee chairwoman, said she didn’t think Republicans would make guns an issue in the race. But Midkiff said if Hurst thought he had an easy road ahead, he was mistaken. “It would’ve just thrilled us to death to see Mr Hurst stay in Roanoke and do the news,” Midkiff said. “But if he comes into our territory, I’m going to have to tell you, he’s going to have a battle,” she said.